· HRA actually received only in respect of the period during which the accommodation is occupied on rent. Salary = Basic+ Dearness allowance (if provided by the terms of employment) + Commission based on fixed % of Turnover. 8. Compensatory modifies hill area allowance Maximum up to Rs. 1000/- per month in specified areas. 10. Border area, Remote area, Disturbed/Difficult area allowance Rs. 200/- per month to Rs. 1300/- per month for specified areas. 14. Counter Insurgency Allowance Limit is Rs. 3900/- per month. Journey performed by Air Amount of economy class air fare of the national carrier by the shortest route or amount spent, whichever is less. Journey performed by Rail Amount of air-conditioned first class rail fare by the shortest route or amount spent, whichever is less. Place of origin and destination are connected by rail and journey performed by any other mode Amount of air-conditioned first class rail fare by the shortest route or amount spent, whichever is less. First class of deluxe fare by the shortest route or the amount spent, whichever is less. Amount of air-conditioned first class rail fare by the shortest route or amount spent, whichever is less. 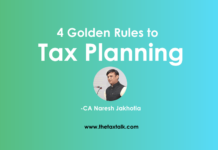 Note: Exemption in only 2 out of a block of 4 years, with an option to claim exemption for 1 journey in calendar year immediately following the end of the block. 17. Allowance to Government employees outside India Fully Exempt. 18. Uniform Allowance Exempt from tax, to the extent it is provided to meet actual expenditure on purchase or maintenance of uniform. 19. Academic research allowance Exempt from tax, to the extent it is actually expended by the employee for the purpose of Academic research and training pursuits in educational and research institutions. 20. Travel Allowance Exempt from tax, to the extent it is actually expended by the employees to meet cost of travel on tour or travel. 21 Conveyance Allowance Exempt from tax, to the extent it is actually expended by the employees to meet expenditure incurred on conveyance in performance of duties of an office or employment of profit. 22. Helper Allowance Exempt from tax, to the extent it is actually expended by the employees to meet expenditure incurred on a helper where such helper. 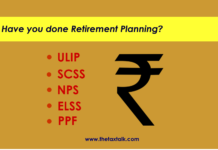 Have you done Retirement Planning?